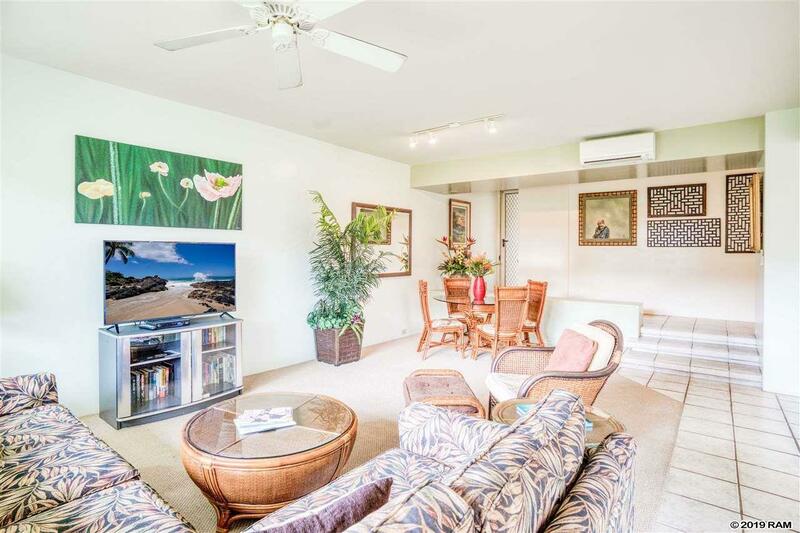 Unit 1805 has the largest floor plan of the two bedroom/two bathroom models at the Palms of Wailea on Wailea Alanui Drive, just minutes away from great shopping, dining, tennis, golf and the beautiful Wailea/Makena beaches. The spacious interior is wonderful for relaxing and entertaining. You and your guests can enjoy the large outdoor lanai with a BBQ and greenbelt where kids can play. Unique features of 1805 are 1) the completely enclosed guest bedroom, 2) an efficient, economical split air conditioning system for THREE units, offering refreshing, cool temperatures in the living room, master bedroom and guest bedroom. 3) a private entry that is not shared with an adjoining unit. 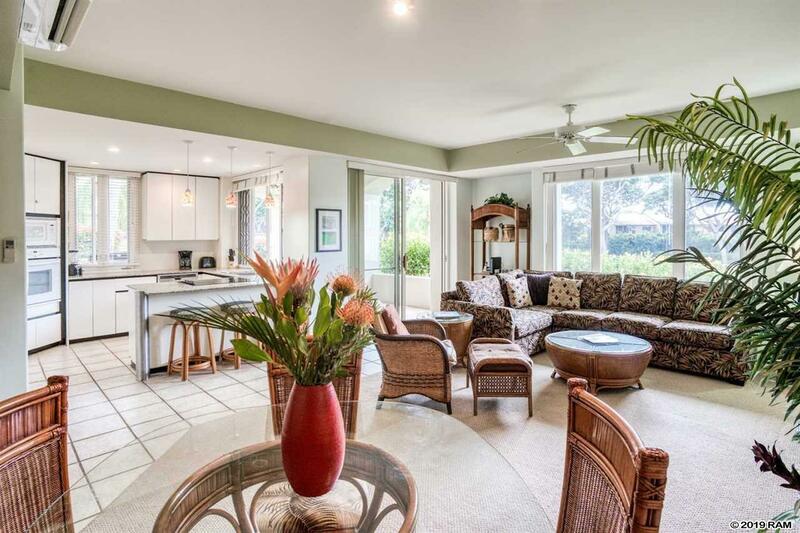 1805 is tastefully appointed and a popular member of the Outrigger rental program. 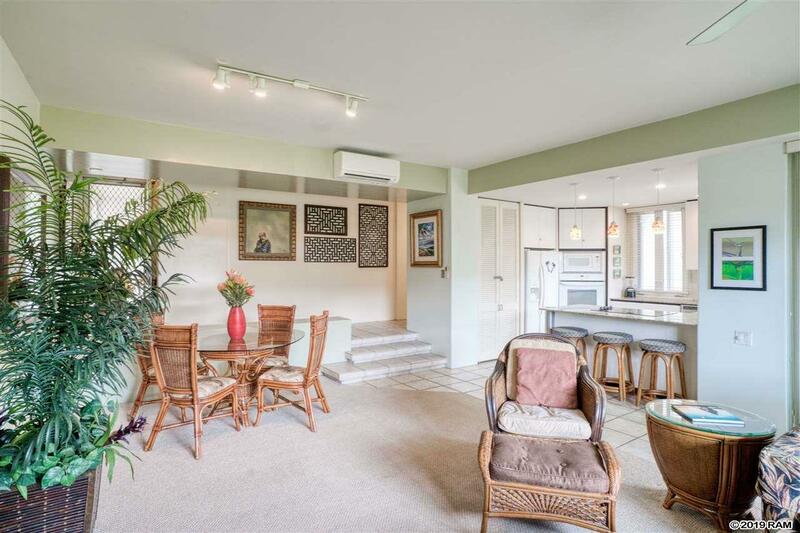 This light and bright unit is offered furnished with minor exclusions. 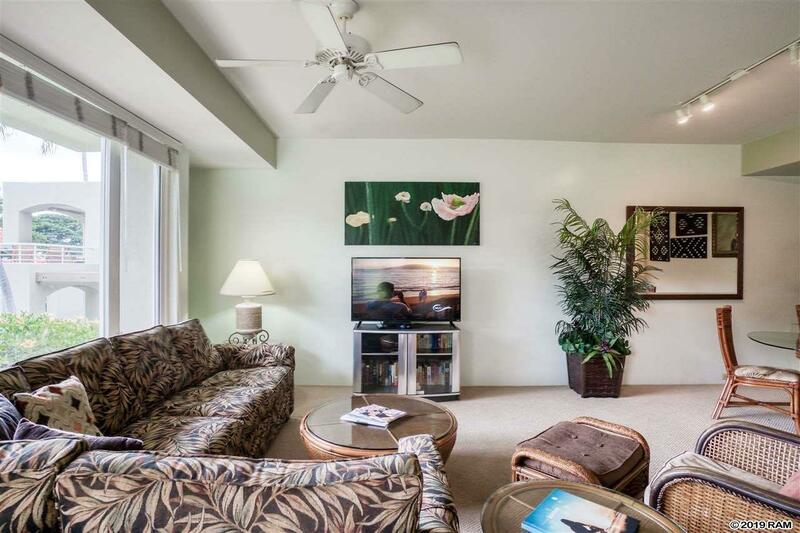 The Palms at Wailea maintenance fee includes the annual Wailea Community Association (WCA) fee of $490 for 2019.